The authors contacted TPJ and TPC at about the same time. TPJ and TPC launched independent investigations into the matter that led to the findings described in the two retraction notices. TPJ and TPC communicated about their findings prior to publishing their respective retractions and coordinated the timing of the publication of the retractions. The scientific community’s understanding of RLP signaling has moved on considerably since these papers were published. Over the ~15 years since the work was reported, it has been eclipsed by other work so I hope the repercussions on our collective scientific understanding in this area will be minimal. [The Sainsbury Laboratory] has now implemented a robust process to promote scientific integrity http://www.tsl.ac.uk/about-tsl/scientific-integrity/, and insists that for all papers emanating from the lab, every data set is triplicated, and the raw data of each triplicated experiment is stored and readily available. We believe we have thus taken all reasonable steps to ensure these kinds of problems do not arise again for current and future TSL publications. That said, we welcome ongoing scrutiny of our research from the wider scientific community and will always take action where necessary to maintain the integrity of the scientific process. 1. The duplication of immunoblot bands in The Plant Journal Figure 4C and The Plant Cell Figure 3 row 3, The Plant Cell Figure 4A row 1, The Plant Cell Figure 4C. 2. The Plant Journal Figure 4B Cf-9 c-myc band is duplicated in The Plant Journal Figure 4C Cf-9:TAP band under the 475 kDa marker. 2. 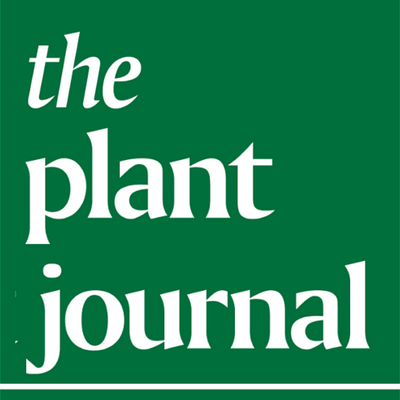 The first four lanes of Figure 4A row 3 in The Plant Journal are a duplication of lanes 23, 24, 25, and 26 in Figure 4A row 2 in The Plant Cell. 3. The Plant Journal Figure 7B lanes 1&2 and lanes 4&5 are duplicates of each other and are duplicated from Figure 7B lanes 1 and 2 in The Plant Cell. 4. The Plant Journal Figure 7C is a duplication from Figure 7C in The Plant Cell. “An ~400 kDa membrane-associated complex that contains one molecule of the resistance protein Cf-4” has been cited 27 times since 2002, according to Clarivate Analytics’ Web of Science, formerly part of Thomson Reuters. The authors of the above article request that it be retracted from The Plant Cell, because it contains a substantial number of inappropriate image manipulations. These manipulations consist of the reuse or duplication of images, both within the above article and with another manuscript published contemporaneously in The Plant Journal [Rivas, S., Mucyn, T., Van Den Burg, H. A., Vervoort, J. and Jones, J. D. G. (2002), An ∼400 kDa membrane-associated complex that contains one molecule of the resistance protein Cf-4. The Plant Journal. 29: 783–796. doi:10.1046/j.1365-313X.2002.01254.x]. Specific problems with the manuscripts are as follows. (1) There are duplications of immunoblot bands in The Plant Cell Figure 3, row 3, The Plant Cell Figure 4A, row 1, The Plant Cell Figure 4C, and The Plant Journal Figure 4C. (2) The Plant Cell Figure 4B Cf-9 c-myc band is duplicated in The Plant Cell Figure 4C Cf-9:TAP band under the 475-kD marker. (3) The Plant Cell Figure 4A, row 2, is duplicated in The Plant Journal Figure 4A, row 3. (4) The Plant Cell Figure 6B, left panel, and 6E are duplicated. (5) The Plant Cell Figure 6C, 90 min, and 6D, 0 and 90 min, all appear duplicated. (6) The Plant Cell Figure 7C looks essentially identical to The Plant Journal Figure 7C. (7) The Plant Cell Figure 7B, lanes 1 and 2, is duplicated in The Plant Journal Figure 7B, lanes 1 and 2 and lanes 4 and 5. “The Cf-9 Disease Resistance Protein Is Present in an ∼420-Kilodalton Heteromultimeric Membrane-Associated Complex at One Molecule per Complex” has been cited 66 times since 2002. We reached out to first author on the two retracted papers, Susana Rivas, who is now a group leader at the Institute for Agricultural Research (INRA) in Toulouse, France, but haven’t heard back. Jones has also co-authored a paper with Voinnet, which received an erratum in 2016 in Science, citing figure errors for which second author Patrice Dunoyer took responsibility. Voinnet, a high-profile plant scientist who received his doctorate while at The Sainsbury Laboratory, currently has eight retractions and 22 corrections, by our count. Additionally, Jones was the second-to-last author on 2004 paper in Plant Physiology that was retracted in 2007 after the authors could not replicate their findings. The paper, “Arabidopsis Downy Mildew Resistance Gene RPP27 Encodes a Receptor-Like Protein Similar to CLAVATA2 and Tomato Cf-9,” has been cited 31 times.